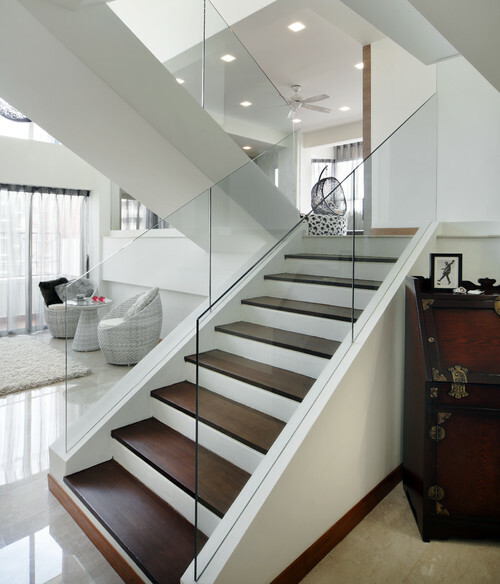 Gorgeous Stairs...But No Handrails? Is that Built to Code? Oh wait, this was built in Singapore. Prolly different rules there....Also, explains how clean it looks!